Tonight I am joining The Nesting Place and Hooked On Houses for the Christmas Tour . 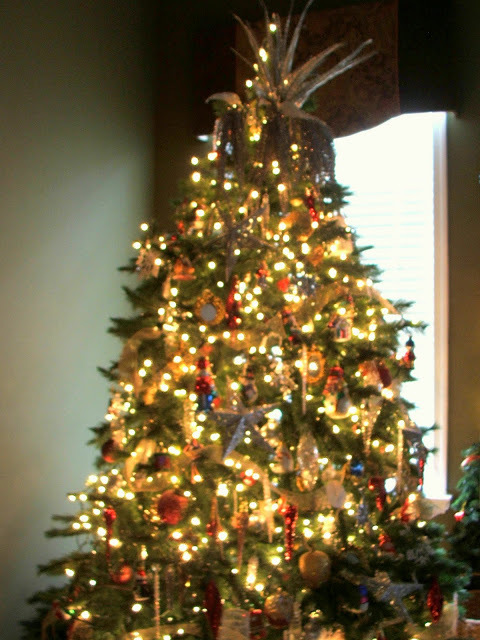 Enjoy and please take a look at all the great Christmas decor at these blogs. 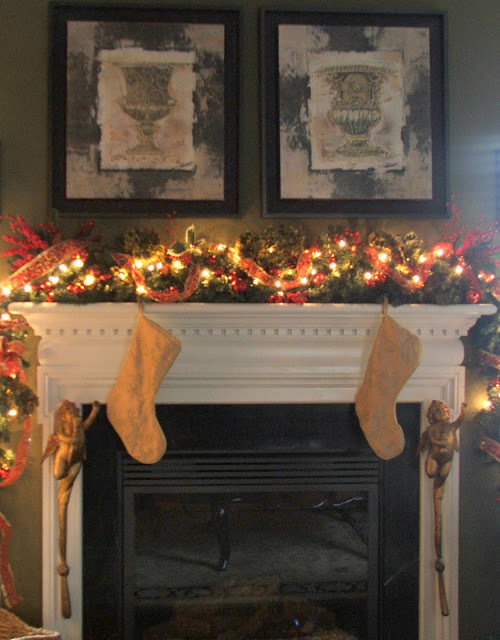 The mantle decorated with dried hydrangeas, faux garland, berries,christmas balls and ribbon. Our tree with ornaments collected for many years. Thanks for stopping by and I hope you have enjoyed the tour. Check back soon for more decorations. I love your mantle, gorgeous!! And your Christmas tree is beautiful!! Thanks for sharing! Merry Christmas! Your tree is spectacular! All looks beautiful. Merry Christmas to you. Lovely Photos. Happy I stopped by. Love the idea of tucking feathers into the tree! So many beautiful decorations! Merry Christmas! I really like your feathers! 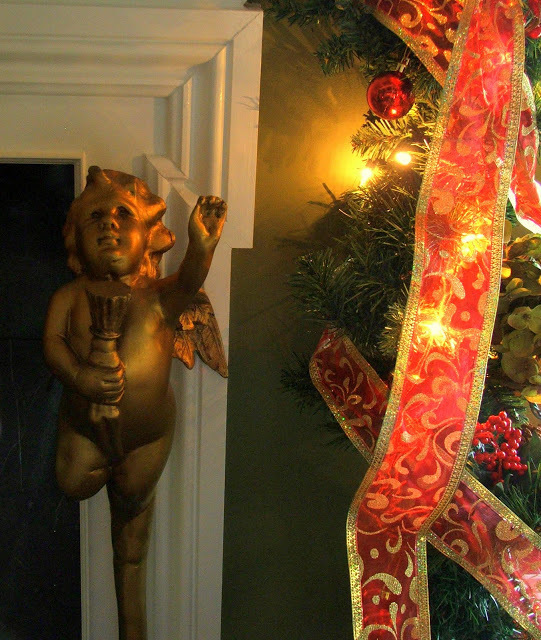 I love the tree topper, it is so different!I am stopping in from Nester's place. To see my tour click on the 'Christmas 2009' tag on the left sidebar of my blog.